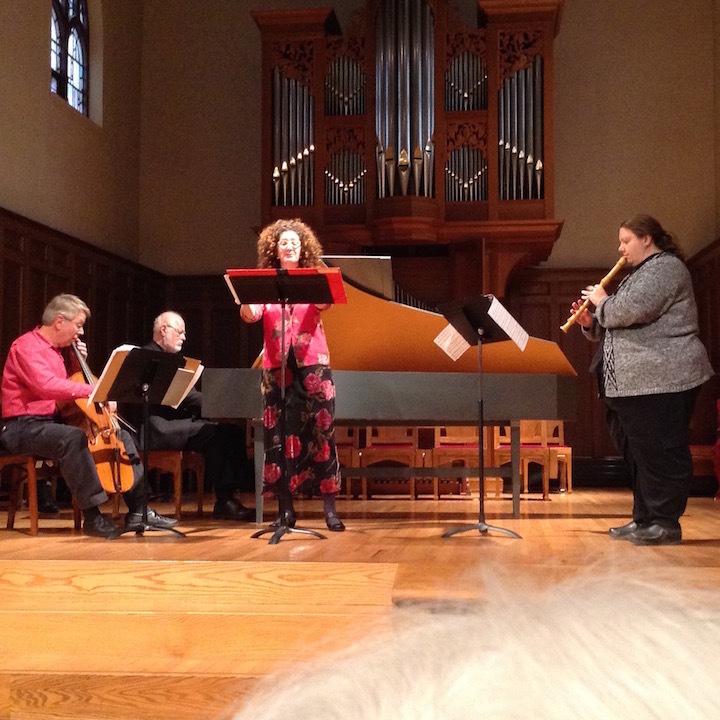 The latest concert by the Wisconsin Baroque Ensemble was held at St. Andrew’s Episcopal church on Regent Street, on last Sunday afternoon. The music that was performed might be divided into four categories. One was vocal. In each half of the program, Sañudo brought her dramatic flair to two Italian cantatas by George Frideric Handel: Nel dolce dell’oblio and Mi palpita il cor. In the second category, there were two works for unaccompanied low stringed instrument. 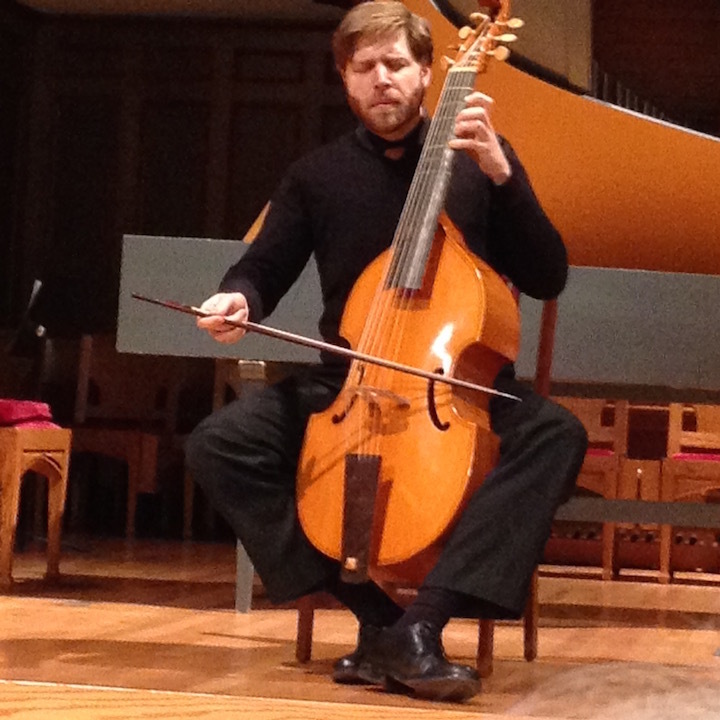 TenWolde opened the first half with a ricercata by Giovanni Batista deli Antonii (1636-1689), one of the earlier published pieces for violoncello. Miller (below) closed the first half with one of the earliest published works for gamba, a Suite by one M. de Machy (later 17th century). Further on, Yount played a harpsichord Suite by Georg Böhm (1661-1733). Representing a third category, Lipshutz played a Sonata for traverso flute by Johann Philipp Kirnberger (1721-1783). The other was a quadro, or French Quartet, by Georg Phillip Telemann (1681-1767), for two flutes and cello with continuo, delivered by all five instrumentalists. Plainly, the menu was a varied one, full of individually interesting and appealing music. 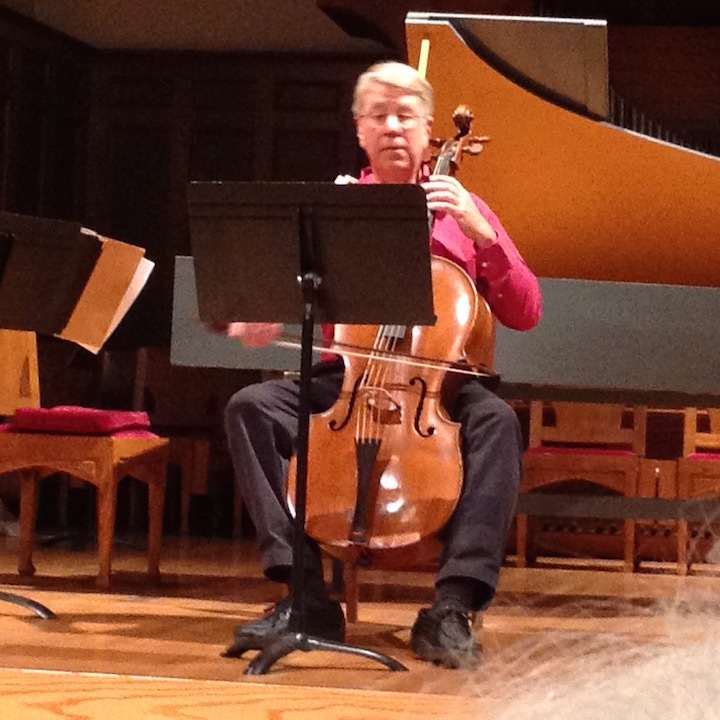 All of it required not only informed musicianship from the performers but also considerable virtuosity. 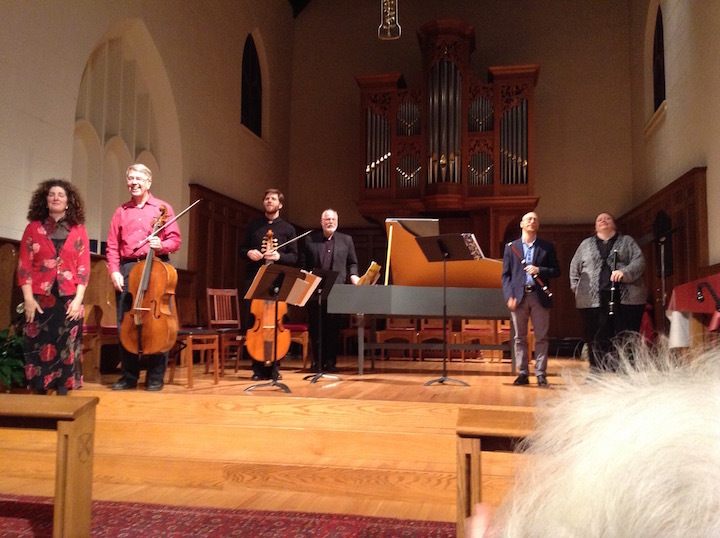 It must always be remembered that the Wisconsin Baroque Ensemble, founded in 1990 by Ten Wolde, is the oldest still operating organization in Madison devoted to early music. It remains outstanding in its artistry and enterprise.